If the game should be too crowded and you're really tired of being a spectator you can try Mission Training » with Mission-Training-Simulator-like Graphics without score and spectators, but with the addictive core game. You will gain solid skills for the main game. You can read good or less good background stories here, here or here. 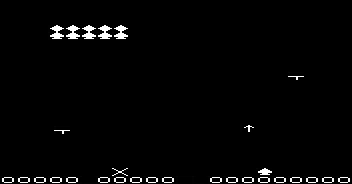 This is an arcade game planned and created with VIC20-Basic about 30 years ago (with ascii character graphic and of course without multiplayer version). Imagine the COSMICS core game as a rival of Galaga, Galaxian or Space Invaders in the early 80s arcades. 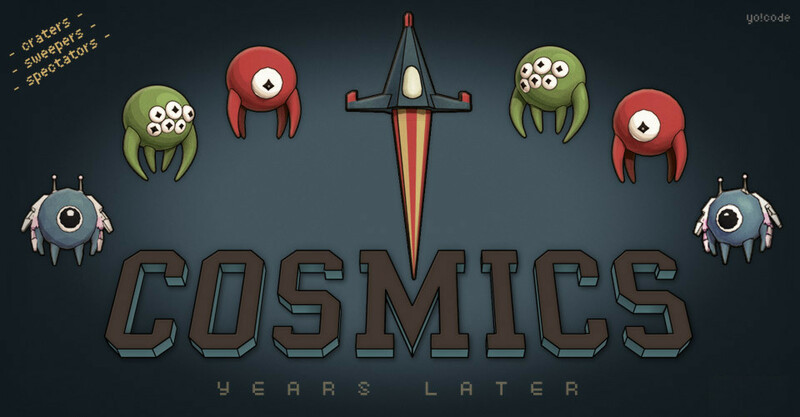 COSMICS was redesigned from the 80s Version in 2010 and semifinished. 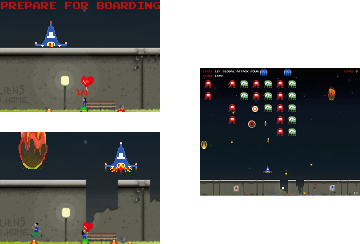 After nearly three years of pause we decided to add a multiplayer feature and complete the game. The game is created by Stefan Hartmann and David Buehrer. Responsible for the page is Stefan Hartmann, stefan@yo-code.de. 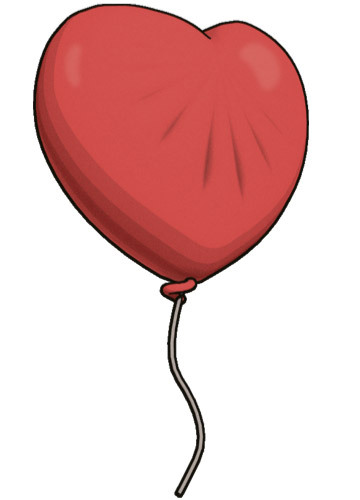 We like to thank for some sounds we used (and modified) for the Game: female scream by Efecto Fundador, male scream by JohnsonBrandEditing, level complete by CGEffex, alien get you scream (really scary one) by ERH, inflate by mookie182 and deflate by elektroproleter. This website contains links to the websites of third parties (“external links”). As the content of these websites is not under our control, we cannot assume any liability for such external content. In all cases the provider of information of the linked websites is liable for the content and accuracy of the information provided. At the point in time when the links were placed, no infringements of the law were recognisable to us. As soon as an infringement of the law becomes known to us, we will immediately remove the link in question. We have committed ourselves to put down normal work from time to time to meet up creating games. Our expenses besides all the time mainly comprise of pizza, chocolate, fruits and beer. If you like COSMICS and want to support new yo!code productions, please consider pressing one of the buttons (preferably flattr or paypal) to the right. Thanks for playing!